Not only is Lilah a winner in the show circuit, but she is a proven producer of quality, ribbon-winning offspring! She has delivered 5 females and one male. 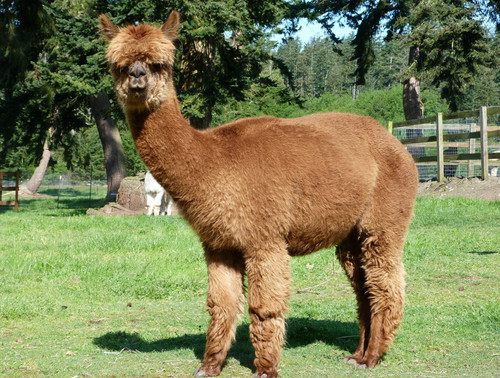 Her male offspring, Duncan, took a place in our herdsire lineup. 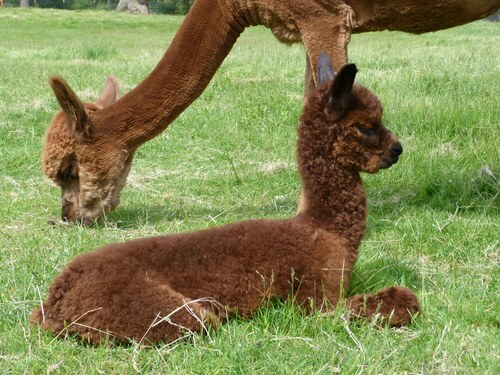 We are anxiously awaiting the arrival of the first cria he sired - due in July 2015! A big, healthy girl, Lilah is an extremely easy keeper with a pleasant personality. She has become a favorite here as she loves to interact with farm visitors. She is a terrific mom, with trouble-free deliveries. She produces abundant milk and vigorous crias.